Bird Id - Forum - Identifying Birds - Is This A Sparrow Hawk ? 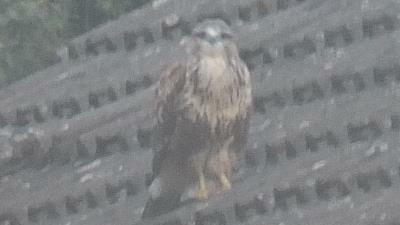 Forum > Identifying Birds > Is This A Sparrow Hawk ? 81 This bird was spotted on my neighbours roof - Husband says it is a sparrow hawk but I thought the shape of the face and neck line look different - Help appreciated - Thanks.